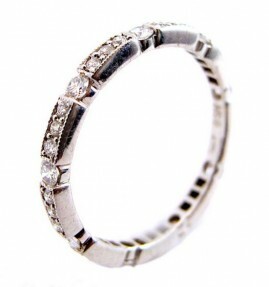 Stunning diamond and blue sapphire alternating eternity band set in 18k white gold. 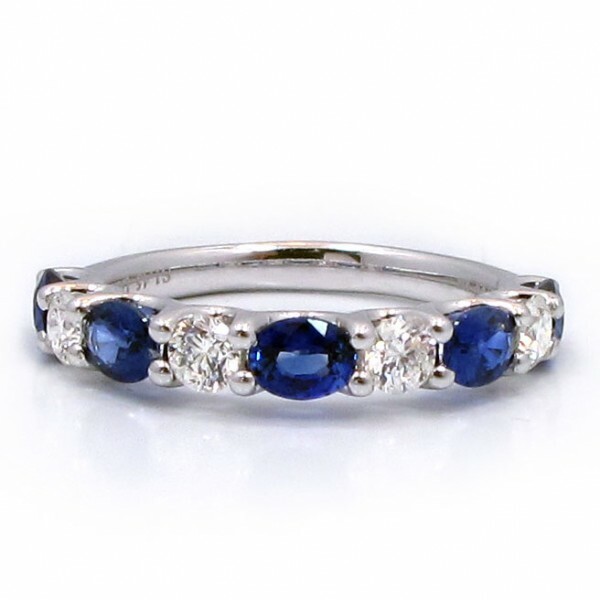 The ring contains 4 brilliant round diamonds 0.54tw and 5 oval blue sapphire, 1.46tw in an eternity setting. The stones go approximately halfway around the band. Ring is size 6.75. 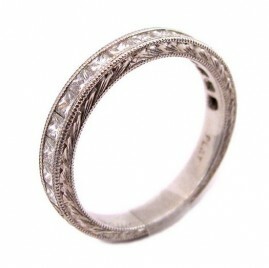 One 18k white gold diamond and sapphire alternating band. 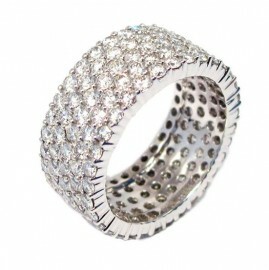 The ring contains 4br=0.54tw and 5 oval blue sapphire=1.46 in an eternity setting. The stones go approximately halfway around the band. Ring is size 6.75.